The 2017 North Country Crop Congresses will feature updates on research projects funded by the farmer-driven Northern New York Agricultural Development Program. The Program provides small grants for on-farm research and technical assistance projects in Clinton, Essex, Franklin, Jefferson, Lewis and St. Lawrence counties. The Crop Congresses on February 1 in Chazy and on February 2 in Canton will include presentations on Northern New York Development Program-funded research evaluating ways to manage the crop pests corn rootworm, alfalfa snout beetle, and western bean cutworm, and on field trials with forage sorghum. The February 1 Crop Congress at the Burke Education and Research Center at Miner Institute in Chazy will also include an update on Northern New York Agricultural Development Program-funded tile drainage research by Miner Institute, and other Miner Institute research updates. This event is free to attend. Pre-registration is encouraged; call 518-846-7121 x117. The February 2 Crop Congress at the Best Western University Inn, 90 East Main Street in Canton, will also include a presentation on Northern New York Agricultural Development Program-funded field trials of late summer-planted oats as a forage option. Weed control management, neonicotinoid seed treatment restrictions, and crop insurance presentations are also on the agenda. There is a fee to attend this event; call 315-788-8450 or 315-854-1218. More than 100 regional farmers serve on the Northern New York Agricultural Development Program committee that identifies and prioritizes research and technical assistance projects for attention in the six northernmost counties of New York State. Project leaders receiving funding from the farmer-driven Northern New York Agricultural Development Program in 2016 included Cornell University and State University of New York faculty, and personnel with Cornell Cooperative Extension; the Cornell Willsboro Research Farm, Willsboro, NY; W. H. Miner Agricultural Research Institute, Chazy, NY; and Uihlein Maple Research Forest, Lake Placid, NY. Funding for the Northern New York Agricultural Development Program is supported by the New York State and administered by the New York State Department of Agriculture and Markets. Project results are posted online at www.nnyagdev.org. Smithville, NY. A management solution developed with funding from the farmer-driven Northern New York Agricultural Development Program for controlling one field crop insect pest may also help corn growers protect their crop from another. The protocol for applying biocontrol nematodes to manage alfalfa snout beetle shows potential for managing corn rootworm, says research leader Cornell University entomologist Elson Shields. Biocontrol nematodes are microscopic worms that eat the larva of alfalfa snout beetle, thereby reducing beetle populations to less damaging levels in alfalfa crops. Shields says his research in Northern New York indicates the nematodes persist, even increase, at effective populations over multiple years even when the field is rotated to corn or soybeans for 4 to 5 years. 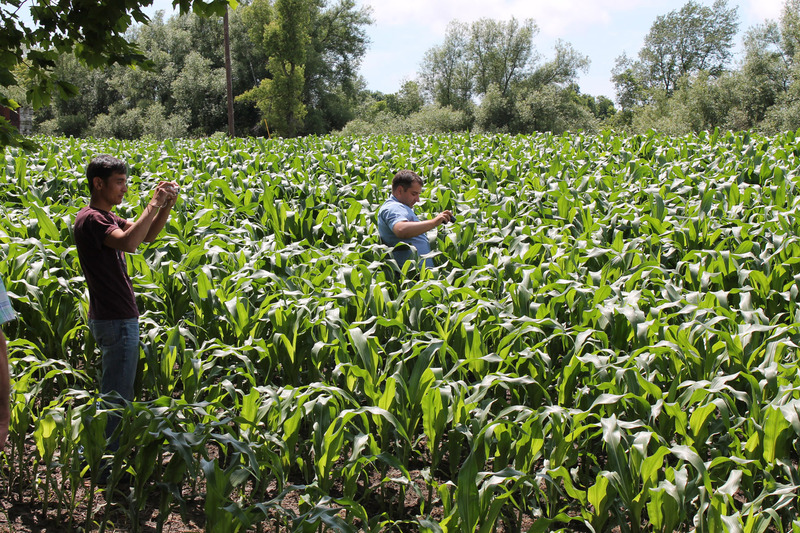 ‘We are seeing an increasing biocontrol nematode population when the field is rotated to corn, strongly suggesting the nematodes are reproducing in corn rootworm which is attacking the corn. An associated study initiated in 2014 at the Cornell Musgrave Research Farm demonstrated nematodes applied there persisted in continuous corn until 2016 at a level to completely protect non-Bt rootworm corn at the same level as rootworm Bt corn,’ Shields notes. The farmers who prioritize on-farm research for Northern New York Agricultural Development Program grant funding want to know if the impact of biocontrol nematodes on corn rootworm may be significant enough to eliminate the need for Bt-rootworm corn seed or soil insecticide. Bt corn seed is genetically modified to express one or more proteins from the bacterium Bacillus thuringiensis that is poisonous to certain insect pests and is used in organic production systems. The potential for corn rootworm resistance to Bt corn is increasingly a concern for agricultural producers as is the cost of Bt corn seed, making the potential use of biocontrol nematodes to manage corn rootworm particularly timely. Grant funding from the farmer-driven Northern New York Agricultural Development Program in 2016 established research plots to evaluate the effectiveness of biocontrol nematodes on corn rootworm at Morning Star Farms in Smithville, NY. Results are not expected until the end of the 2017 growing season as corn rootworm becomes a pest of corn starting in year 2. The farmer-driven Northern New York Agricultural Development Program is a research and technical assistance program serving Clinton, Essex, Franklin, Jefferson, Lewis and St. Lawrence counties. Funding for the Northern New York Agricultural Development Program is supported by the New York State Senate and administered through the New York State Department of Agriculture and Markets. Drs. 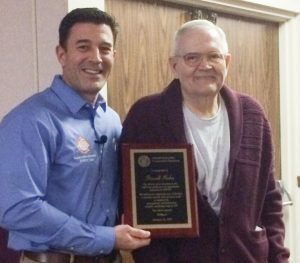 Russell Hahn and Bill Cox were honored Wednesday and Thursday at the Northwest New York Corn Congresses in Batavia and Waterloo, respectively. Both men are retiring from Cornell after a combined 70+ years in service to the New York Field Crops community. We wish them both well in their future endeavors and will miss them tremendously!